Kid's are a real blessing…..
With fall in full swing and winter not far behind. We finished off our garden for the year. 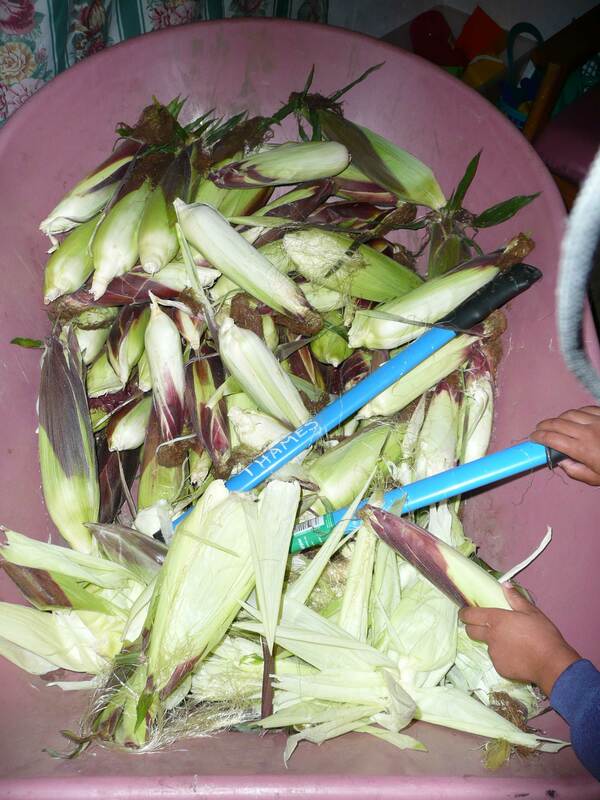 We picked what corn we had left in the field, picked our pumpkins and few of the tomatoes left. Anyway with the new born, work, garden, hunting season coming, and trying to have some family time, I had been really slammed. 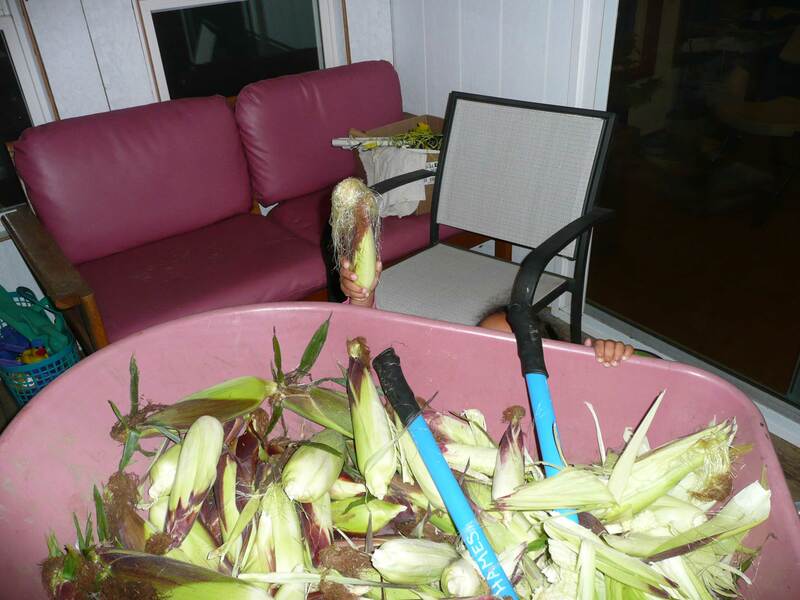 One night Zoe and I were shucking some corn (shucking means removing the husk, and corn silk from the corn). It is safe to say that my daughter wasn’t really being any help and to tell the truth she was in the way. Her job was to hand me the corn so that I wouldn’t have to bend down each time I needed some more corn. And as most if not all 3 year children are she couldn’t stay focused long enough to do that job. Which in turn just got under my skin because I had been repeating, and repeating myself. 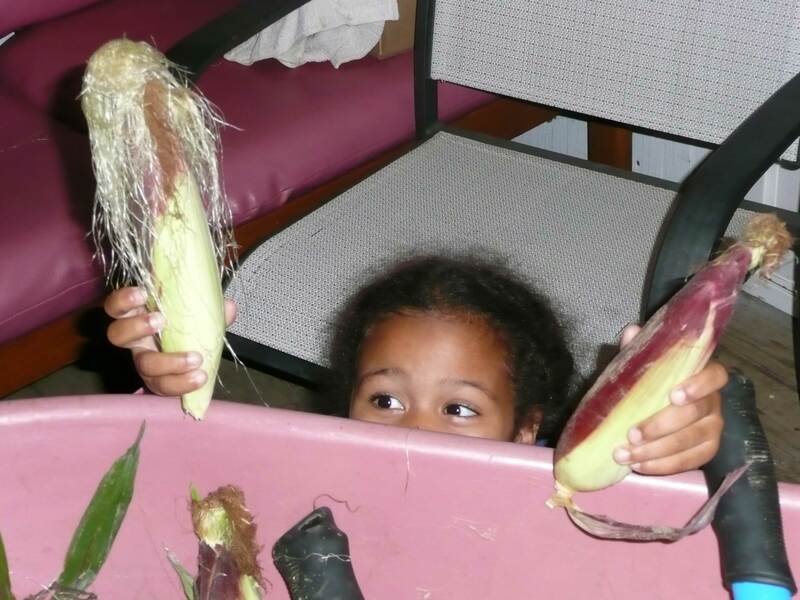 It started with just one corn the one she was handing me, but then grew to a whole theater troop. With the girl corn using the extra silk to have long hair and boy corn having little to no hair. It was just great. As I watched her turn her work into fun and a dad into a laughing school boy, I remembered that children are a blessing from the Lord in many different ways.